Need to pitch remotely to overseas clients? This expert advice will ensure you're fully prepared. Thanks to the wonder that is the internet, designers are able to work from home and complete projects wherever they may be in the world. 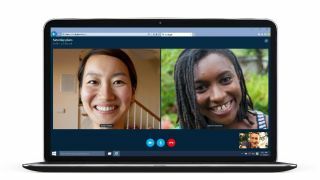 The internet – and applications like Skype – also now make it possible to pitch to clients long-distance, opening up previously impossible opportunities. To walk us through how to successfully pitch over Skype, Pentagram designers Ana Rachel and Clare Newsam share their advice. The team often makes films to show some of the design process to overseas clients, or more personality-led films to get across the vibe of the agency. “It makes the process more human,” explains Clare Newsam. This article was originally published in Computer Arts magazine issue 261. Buy it here. Is this the ultimate mobile design studio?